Regenerates the hair up to 100% in 60 seconds and protects against hair breakage. 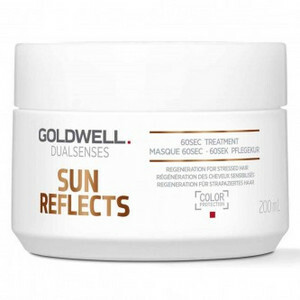 For intensive care and moisture after sunbathing apply Goldwell Dualsenses Sun Reflects After-Sun 60sec Treatment. 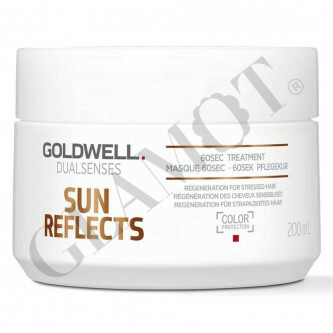 Developed for the needs of sun-stressed hair it delivers regenerating properties to counter the effects of the sun, chlorine and sea water.